Now, you can virtually visit a place while in front of your computer or mobile devices. 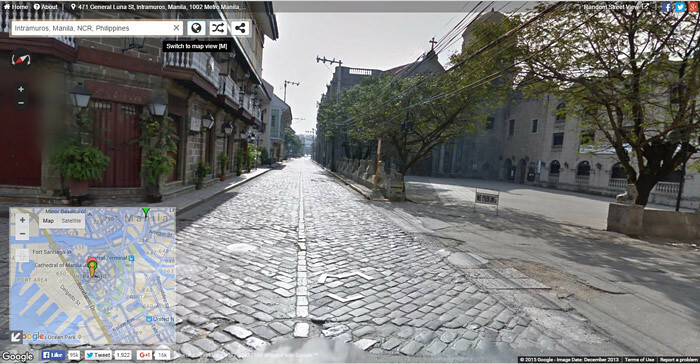 Using the feature added to Google maps last 2007, the Google Street View which only available in several major cities in the United States, but since expanded to include other cities and rural areas worldwide including the Philippines. 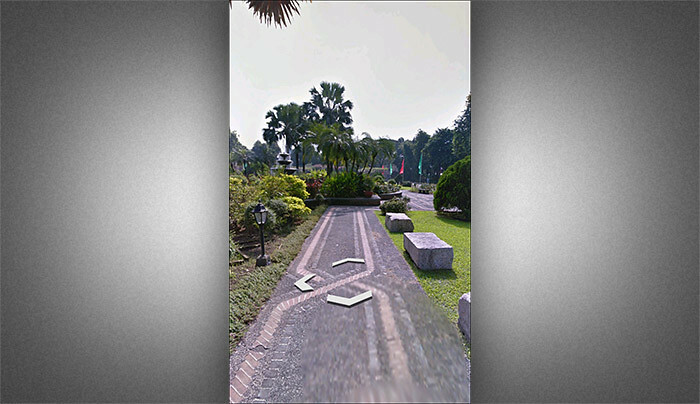 If you access Google Street View in your personal computer, laptop or mobile devices, and search the address that you want to visit, if Google Street View are available you can easily view the place in 360 degrees, it’s like you’re in the place where you can look around by simply dragging your mouse or swiping your screen. You can visit all the popular tourist destination around the world in front of your computer or devices, if you still wonder how, you can use the instructions below as your reference. Using your Computer or Laptop. 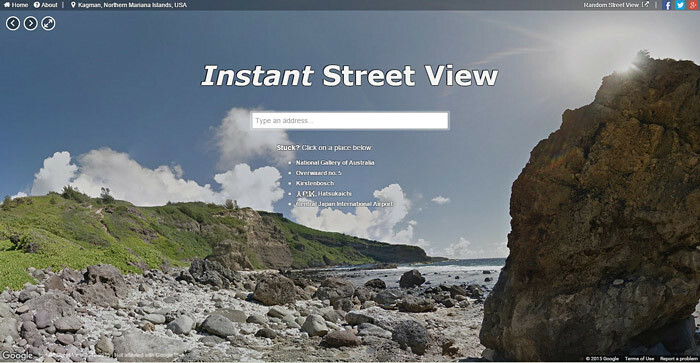 Easily access Street View on your computer using your browser, simply go to https://www.instantstreetview.com and type the address that you want to visit. You can also use the quick links just below the search bar. And everytime you refresh this page it will take you to different places around the globe. 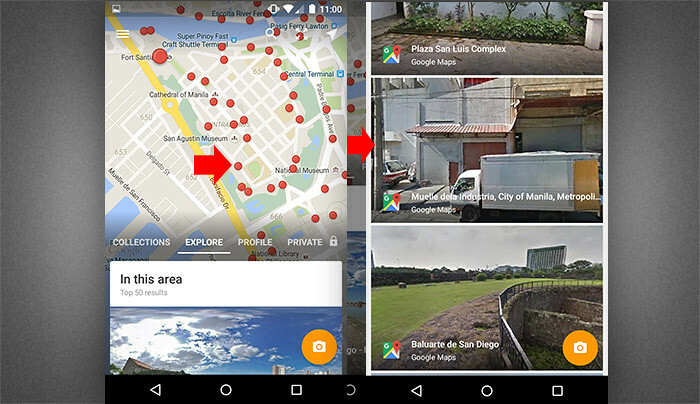 Please note that Google still on the process of capturing and recording, not all areas, particularly in the Philippines has street view. Only in Metro Manila and other near provinces, but don’t worry, soon you will see a google street car roaming around your place. 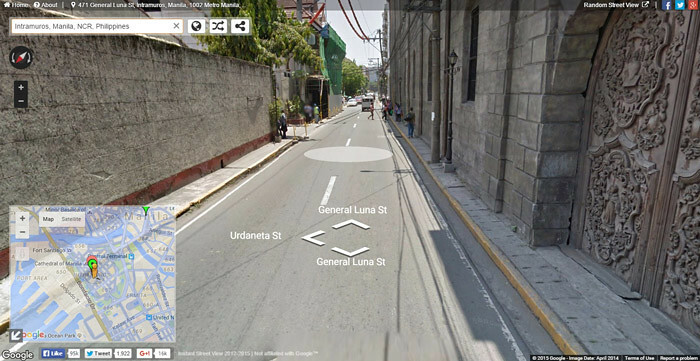 To show you how to use Google Street view, I try to search a place where street view is available. Upon entering the address in the search bar it will take you to the place you enter, if Google street view already available in that place you can enjoy the panoramic view. Simply use your mouse to navigate the place, click and drag to look around and click the arrow to move or click when a circular shadow is visible to move or change your location. 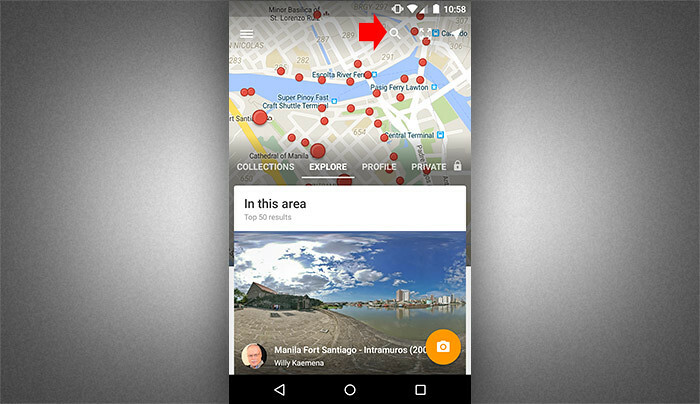 You can also switch from maps to street view by clicking the globe or road icon beside the search bar or simply pressing the letter “M” on your keyboard. Using your Mobile Device. Using your mobile device to access Google street view is easy, just download Street View apps from Google Play if your using Android and App Store for iOS users. After installing, search for a place that you want to visit, tap the search icon at the top of the screen to reveal the search bar. 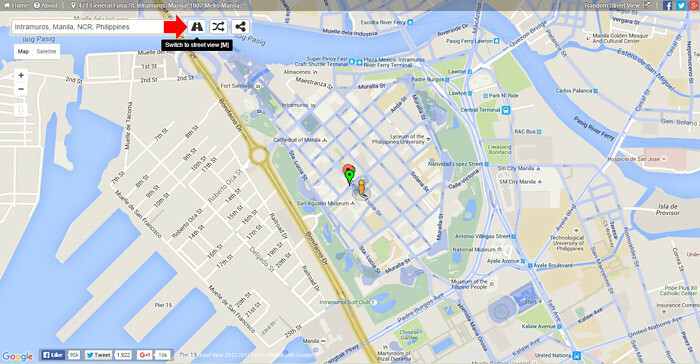 Tap on the red dot on the map to reveal the place where you can explore the area. To explore, swipe your screen to look around and tap on the arrow to move, you can also pinch your screen to zoom in and out. Thanks to Google for making this feature available to the public for free, it’s a big help if you want to familiarize the place that you want to visit. It is also very useful to those who are looking for specific establishment or just want to experience the place. Although some are afraid that it can be used by lawless people to their advantage, Google assures that Street View is only available in public places and nothing to be afraid because all the image captured are being masked to protect the privacy.